I got a call from an institutional public shareholder I’ve known for many years. The quotes above are from that Q&A session about his book, as well as quotes from the book itself. I have never been a big coffee fan. I’ll drink a cup in the morning, but that is about it. I’m not a coffee connoisseur by any stretch of the imagination. But I was eager to hear Schultz’s story. I have always been intrigued by someone following their dream and building a small business into a giant company that has approximately 17,000 stores and 200,000 employees. Starbucks also provides health care coverage for all employees working a minimum of 20 hours. More importantly, the company has long-held beliefs that are not compromised. 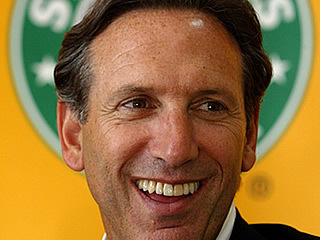 Growing up in a family on the wrong side of town, Howard Schultz’s father got hurt at work and was summarily fired. The family was left with no health insurance. The struggles that ensued were nuggets of life that Schultz never forgot. His mission was to build a company that valued its employees. He wanted a culture where, at the end of the day, the employee would feel that yes, they do make a difference. It’s funny how certain events in our lives are seared in memory, and from time to time we get flashbacks like a laser to bring us back to our core. You do not have to be an entrepreneur or a CEO to have a defined core. Each one of us has it. Our DNA is made up of life experiences that have formed over the years. It is comprised of those things in life for which we have an intense, unwavering, and a deeply felt belief. These are the things that, regardless of the circumstances, we theoretically will not waver from. In spite of declining earnings with a company in turmoil, Schultz did not take the easy way out. He stood his ground and said to himself that yes, I will still provide those benefits — even if at the time, they could not afford it. At a time that the company was in turmoil and the obituaries were being written, Schultz said yes, we will close all of our stores for a few hours and retrain our people. 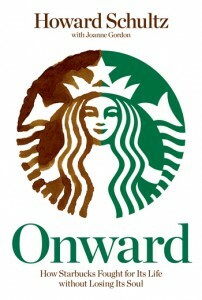 That endeavor itself was another story in the narrative about the organization and how Starbucks treats its most important asset. At a time that innovation was lacking, he went to his employees and customers and asked them “What will bring you back to our company? What will engage you with our company?” Thus the Starbucks loyalty program was developed, with over a million loyalty cards now in circulation. Those were core beliefs, and he did not give into investors or the street and make an adjustment. He is what I would describe as an authentic leader. He led from his core values. That was the foundation and that drove the company’s revival. While there are thousands of books on leadership out there today, with some claiming breakthrough concepts, this book says more than you can imagine about being a natural leader and truly following in what you believe. As a kid growing up, I idolized my father. As a small businessman, he was the guy that I wanted to be like. I loved our conversation and the nuggets of life that he would talk about. There is not a day that goes by that I do not think of him and the guidance that he had given me over the years. So many times when you read tragic stories of people and organization that have fallen, it often reverts back to them getting away from their core and their values. Deep down, they know it is not right but they give it a go anyway. I have often noticed that in a coaching situation, the person you are coaching knows deep down inside what needs to be done. The coaches role is to help them find it and for them to let the light go off in their heads. I devoured this new book by Howard Schultz, and I will reread it until the covers are dog-eared. Remember your core and become passionate about it. This revival at Starbucks was about a CEO who was passionate about his organization, and that passion trickled down from the board room to the mail room. Get back to your core; it is there waiting to be reawakened.